So what is the scoop? Who left who? Let’s be honest about it. If SDSU hadn’t disappeared from tourney(almost a fluke). Richmond was on hot seat and their fans were calling for him to be fired. Fine line between being good or bad in peoples minds. Send flowers to Brookings. Originally there was an Emma Anderson from Big Lake Minnesota. Is she still coming here? The problems with the program right now have nothing to do with the facilities. In November if the weather is good the stadium will be 85 per cent empty. If it is bad it will be 95 per cent empty. Bad optics. Leave the game in Grand Forks that time of year. That Pierre is a stud. This could we a very special recruiting class. Now is they get a QB and one of the potential signees still out there to commit it could be really good. What’s going on at the Herald? The women’s game was at 1:00 yesterday afternoon. That story doesn’t even make the paper today. Might as well not publish a paper. Everyone said our offense was bad. On that last possession we punted. If we had gone for it we at least would of had 2 offensive possessions to try and score. By punting the ball we only had one possession and as it turns out we got no more possessions. I would rather have two attempts to score with an inconsistent offense than one or none. Don’t punt. Bubba almost looks lost out there. Inexcusable. Why did we punt the ball away. Incredible. Absolutely hard to believe. Out coaching staff is totally overmatched. Get Kett out of there!!! Doesn’t it seem like we have had a lot ball carriers go down like they loose their footing? Someone said there are several UND people who post on Bville. Several is generous. 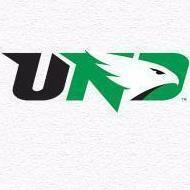 Their definitely are not many posts made on Bville by UND fans. Occasional a couple people write something.